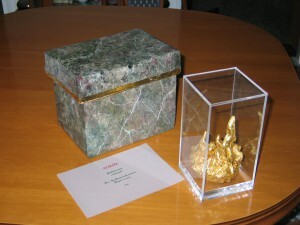 Gift set “Golden flame” ( gold, silver) packed in the painted as faux green marble gift box (acrylic, varnish). 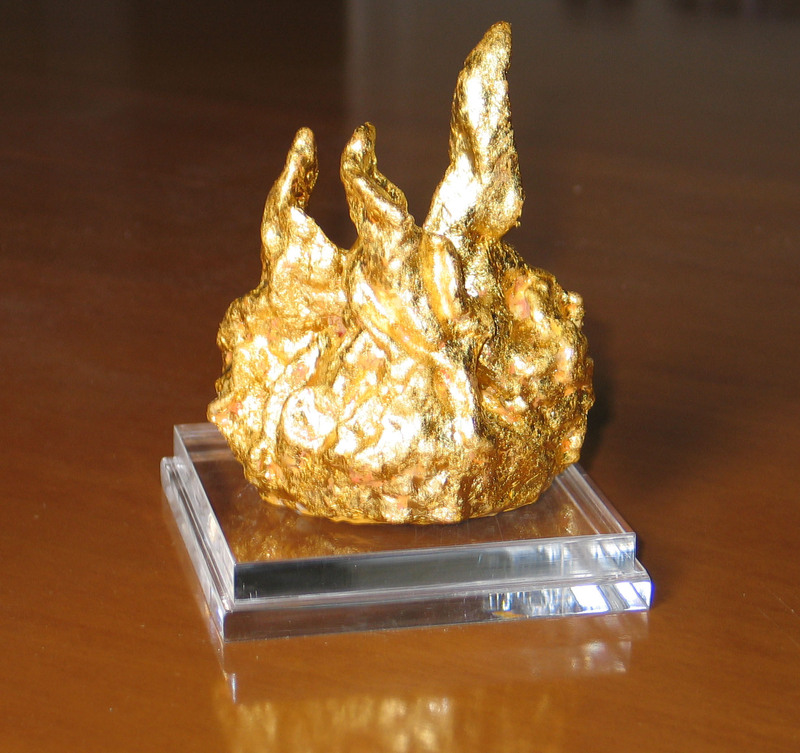 Gift set “Golden flame” ( gold, silver). 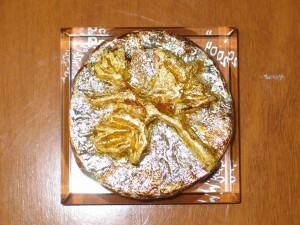 Gift set – paperweight “Gold leaf ivy on a silver base”. 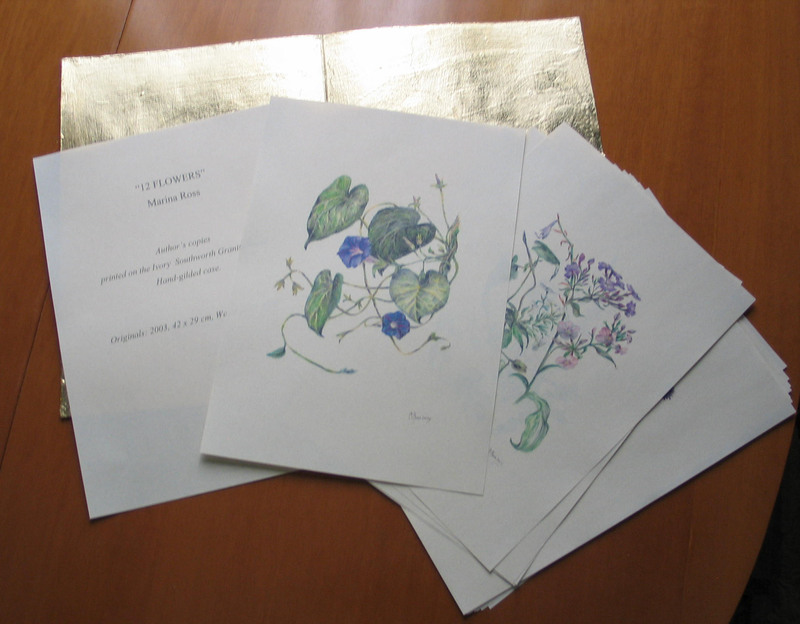 Gift set – watercolours in a gilded folder.